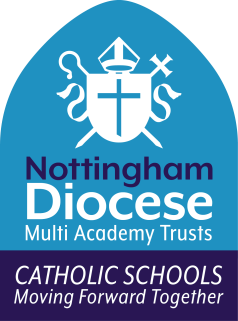 Our vision is to provide the best Catholic education for every child enabling them to: be happy, achieve highly, reach their full potential and beyond, feel safe, respected and cared for, to know and spread God’s love while respecting the beliefs and cultures of others. Everything we do is rooted in Christian Values and we follow Christ’s example in every aspect of our school life. In this way we will enable our pupils to grow academically, socially, morally & spiritually. To develop the skills they need in order to become independent, confident, lifelong learners who are fully equipped to be successful and make a valuable contribution to the parish, local community and wider society. We believe every child is created in the likeness of God and we respect, value and encourage every individual whilst working together as a whole school community.